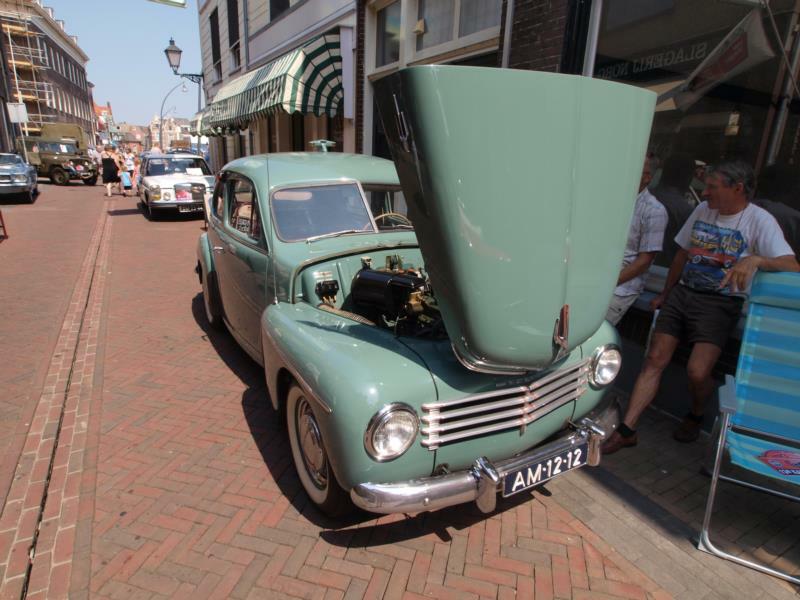 Volvo returned to automobile production following World War II with the 1947 PV444. The two-door, five-seat coupe had a design very similar to a 1942 Ford, which made it look contemporary upon launch, but significantly dated it by the time the model was imported into the U.S. in 1956. 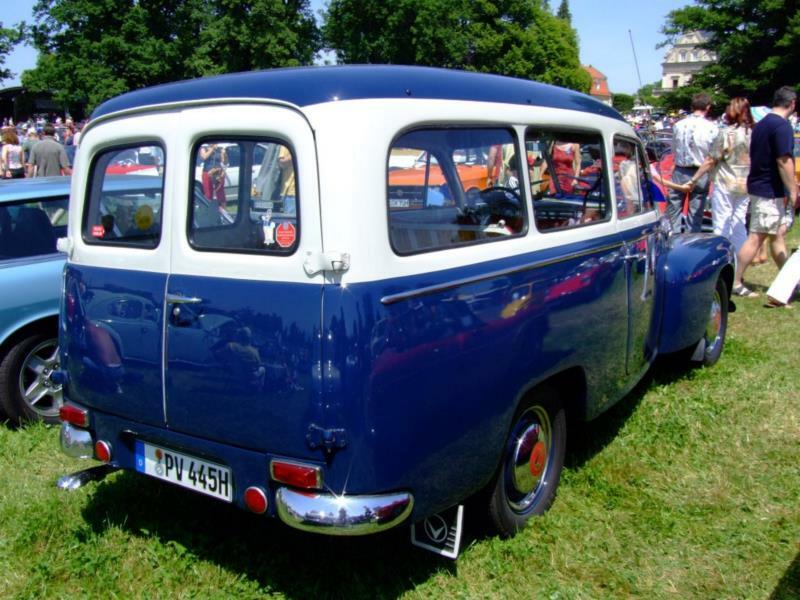 While every other manufacturer had updated their lineups with slab sides and curved glass, the PV444 continued to sport large fenders and a split windshield. Even so, the car quickly earned a reputation as a durable and economical way to get around town, and the car sold fairly well in the U.S. with more than 125,000 units finding willing buyers. 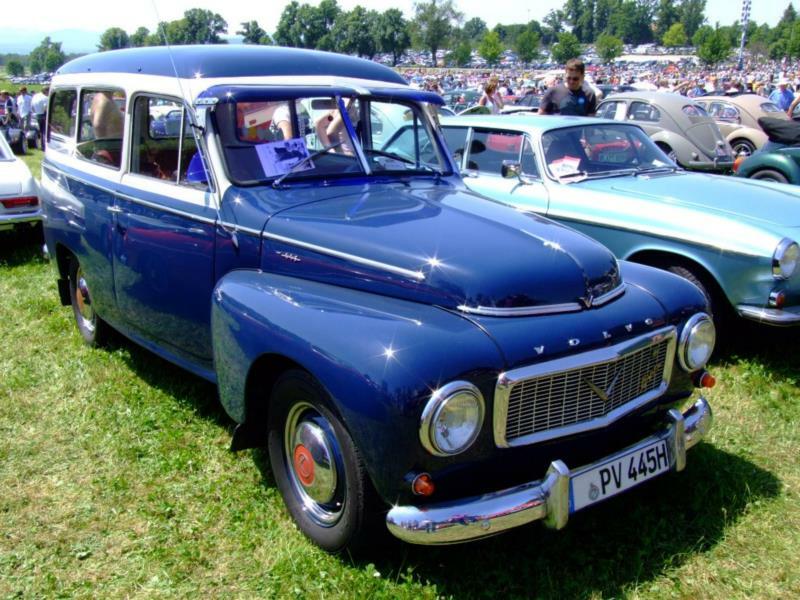 In addition to a fastback coupe, a Duett station wagon (the Volvo PV445) was also offered. Underneath the sheet metal was a stiff unibody, a live rear axle, and large drum brakes. The car utilized either a four-cylinder 1.4-liter engine with twin SU carburetors (internally designated as the B14A) that produced 70 hp, or the uprated and enlarged 1.6-liter B14B motor that generated 85 hp. Shifting duties were handled by a three-speed manual transmission. 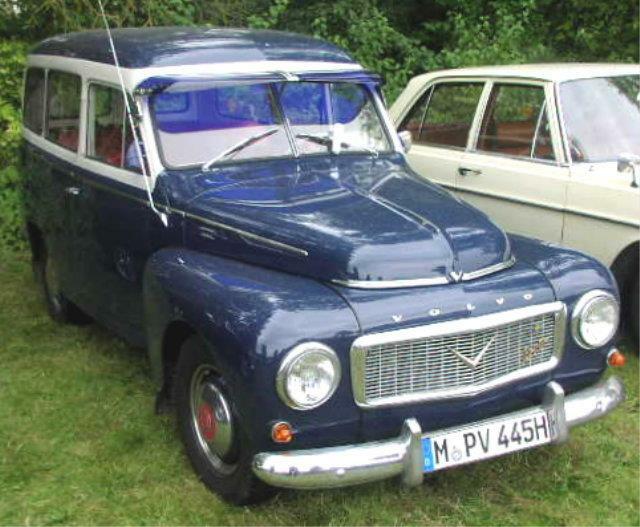 While the PV444 was replaced by the PV544 in 1958, the PV444 wagon remained in production much later. Like the 544, the wagon received the 1.8-liter B18B engine. Inside, the cabin is high and slightly narrow and larger front seat occupants will be brushing shoulders. The seats are very comfortable and the interiors are nicely executed. The stock wheel is the size of a trash can lid and the ribbon speedometer takes some getting used to as does the lack of a tachometer, but the overall experience is entertaining. Underway, the PV444 feels anything but ponderous. Although stoutly constructed, the car’s 2100 lb. curb weight works in its favor and the car feels relatively nimble. While it was never intended to be a performance car, the PV444 is able to keep up with modern traffic, which makes it a practical choice among enthusiasts today. From an ownership standpoint, Volvo PV444s are easy to maintain. Parts supplies are abundant and affordable, and the cars are extremely durable. Like most cars of the era, rust tends to be the biggest fear, though Volvos were among the better protected cars of their day. All the same, it is important to check floors, fenders, and rockers in particular for rot before buying.